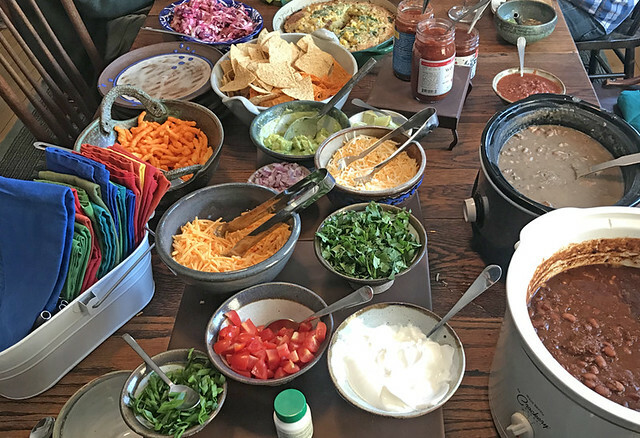 We celebrated New Year’s day with a chili bar and the movie “American Made” a real rip-snorter! 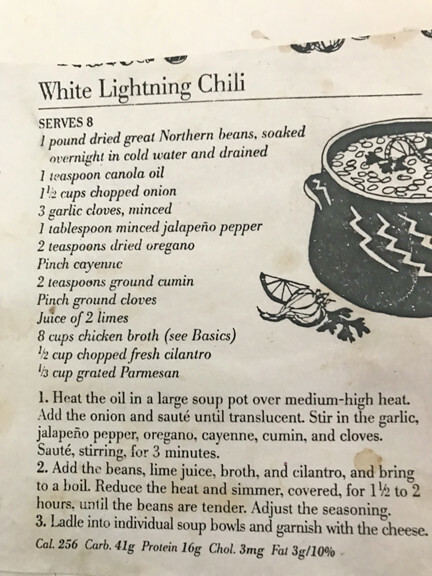 I’ve been making this chili since the ’90’s and everyone who has it would like the recipe. It started as a vegetarian chili – you can see the original that’s pasted in my recipe journal, in the photo below. I believe it originated from one of the Silver Palate cookbooks. Be sure to stir until evenly coated. Simmer uncovered until 165°, and it has reached your desired thickness.